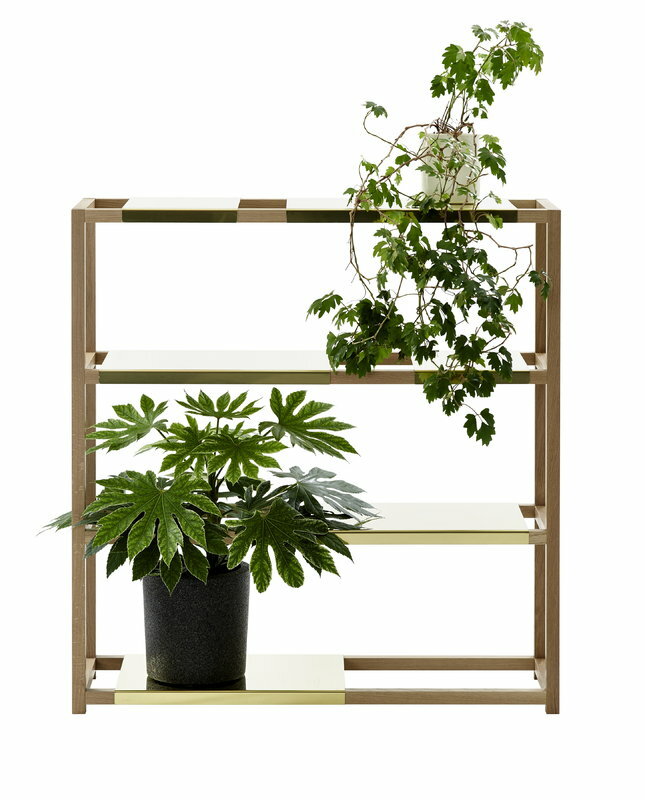 The Botanic Shelf by the Finnish Adea is a versatile shelving system designed by Pinja Rouger and Riikka Kantinkoski. 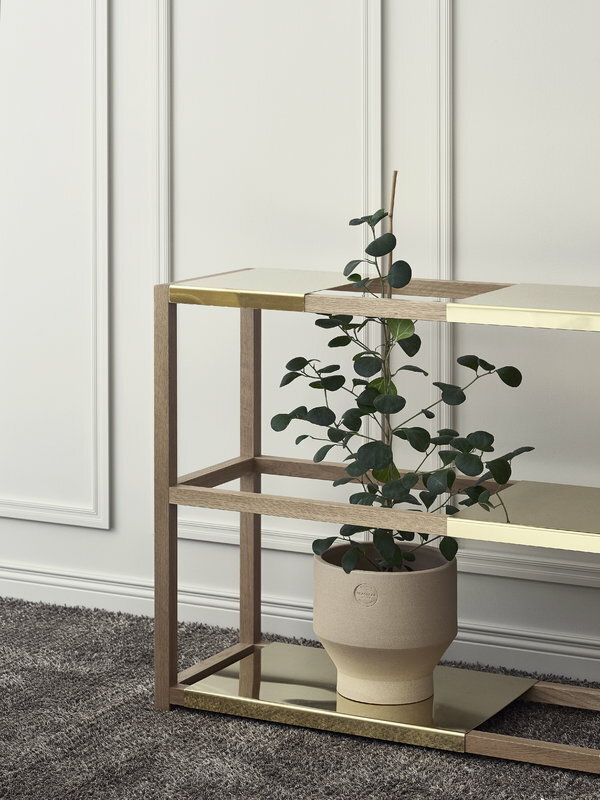 The Botanic Shelf collection was named and inspired by plants – you can freely place the metallic shelves onto the oak wood frame and leave gaps for houseplants and other taller objects. 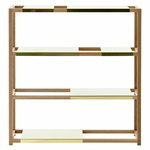 The shelves come in either brass or black-coated steel, and extra shelves can be bought separately. 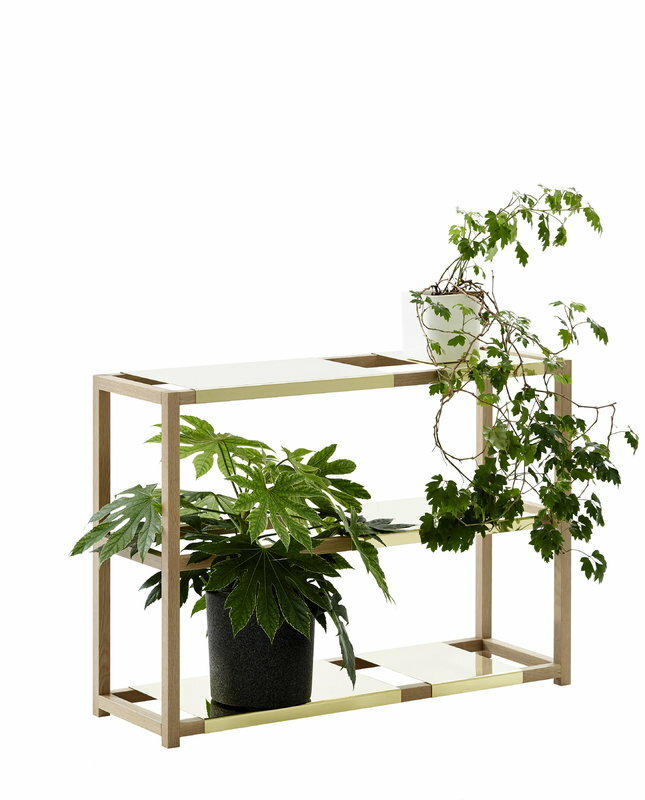 Besides a plant shelf, The Botanic Shelf can be used as a traditional bookcase, office shelf or side table, and the open structure also makes it a great room divider. 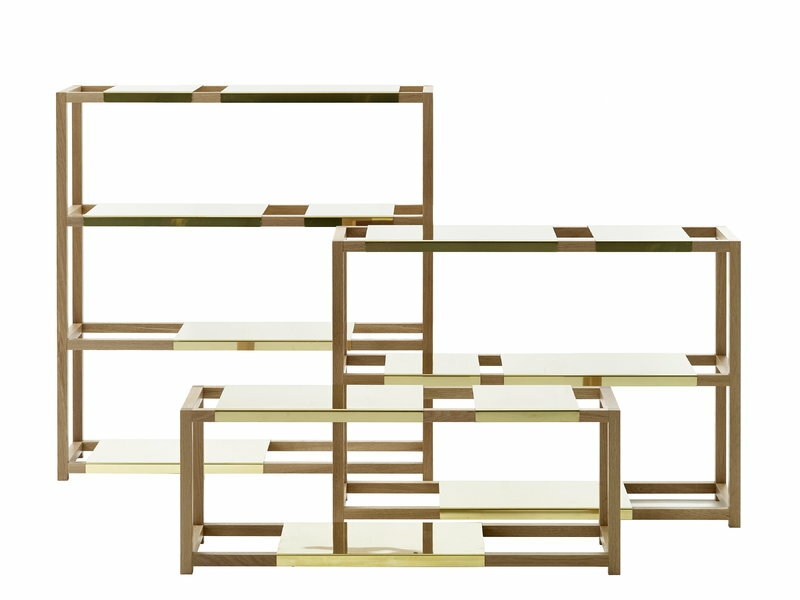 Brass shelves. 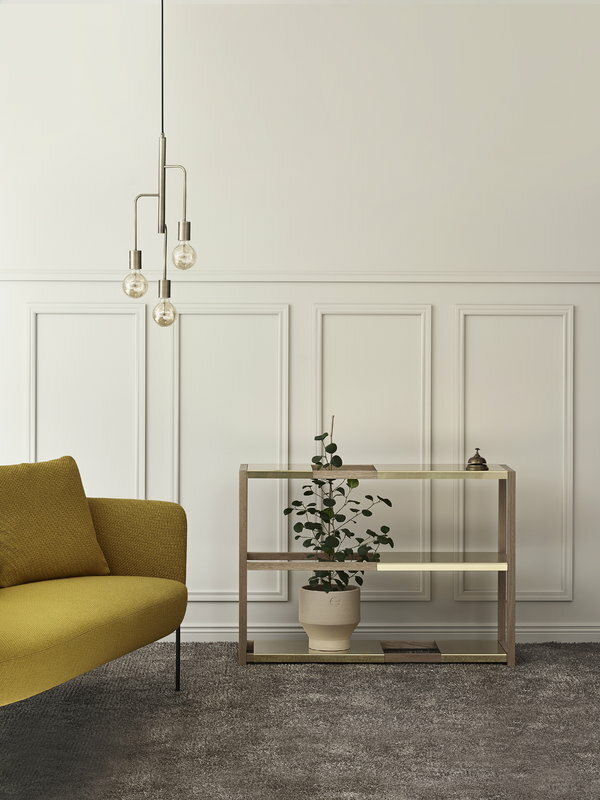 Please note that untreated brass will patinate over time. 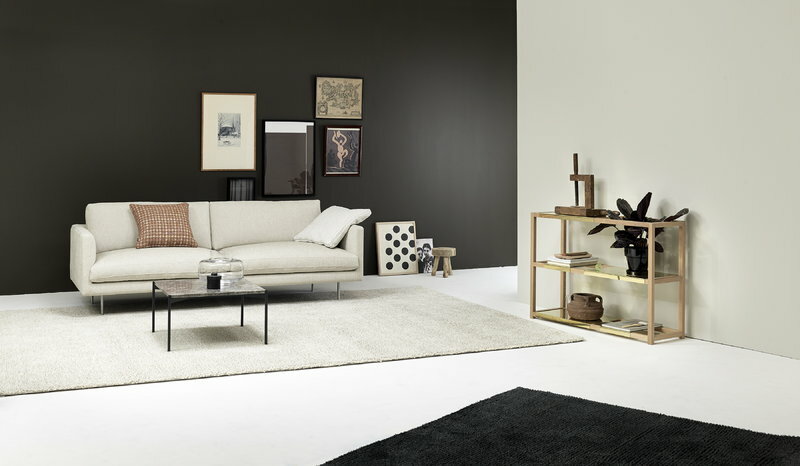 Comes flat-packed. 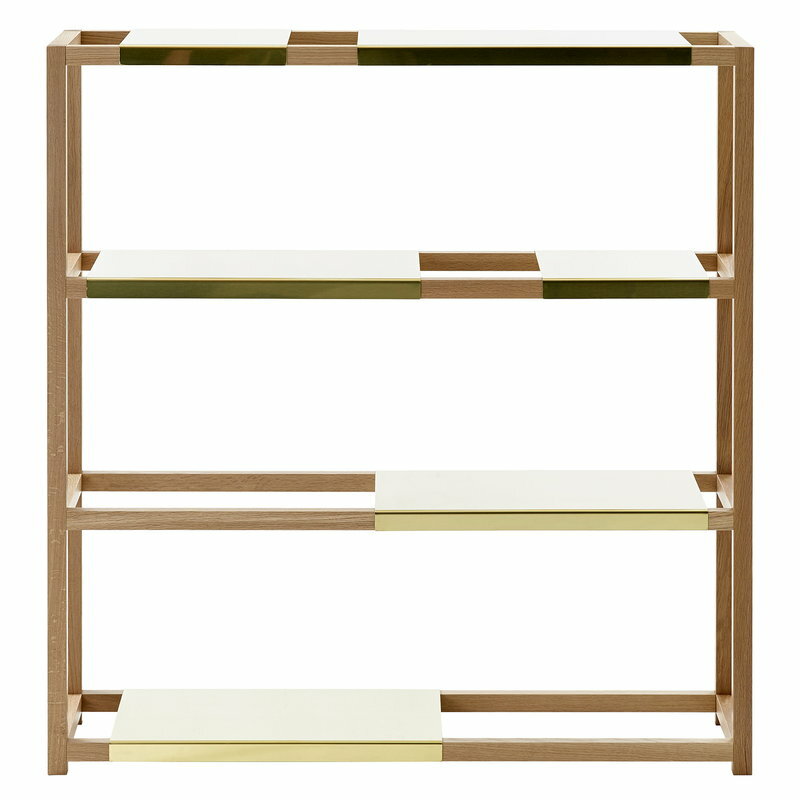 Low: includes 2 x 52 cm and 1 x 26 cm shelves. Medium: includes 3 x 52 cm and 2 x 26 cm shelves. 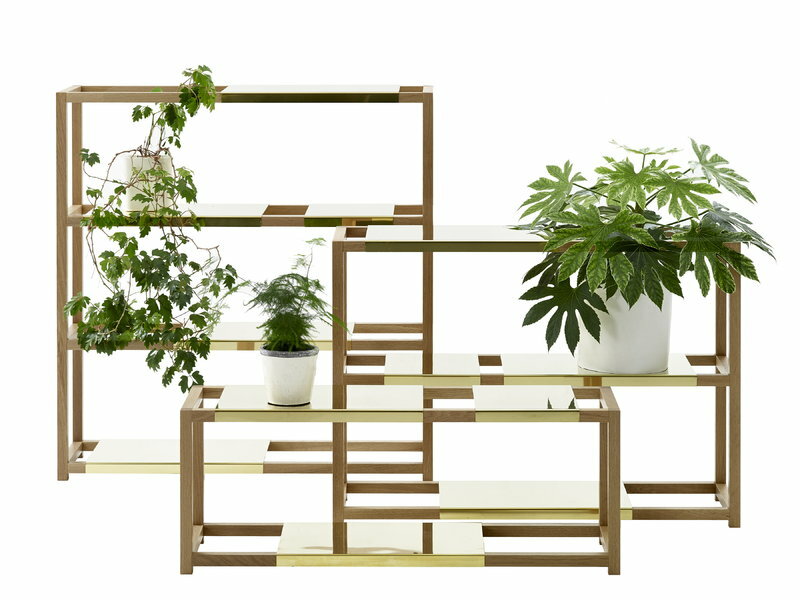 High: includes 4 x 52 cm and 2 x 26 cm shelves.